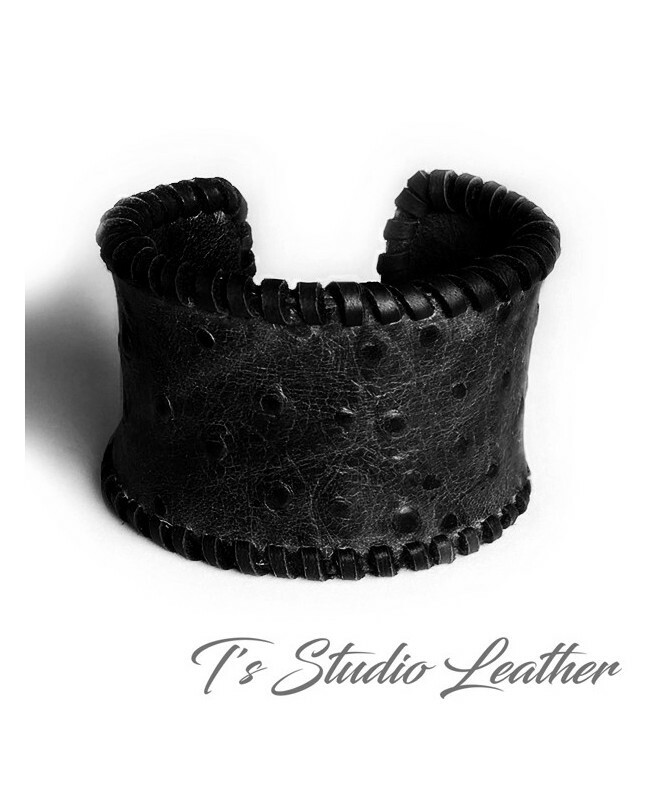 Make a bold statement with this adjustable leather cuff bracelet. It is handmade with high quality, genuine cowhide leather, embossed with ostrich print texture, shown in black. Available in a variety of colors. Bracelet measures 1 3/4" wide, and is adjustable to fit your wrist.